Summer is officially here in Hamilton County, Indiana! 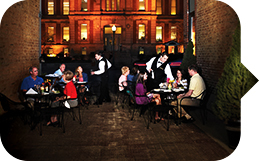 Splash around, taste local strawberries and dance the night away at fun musical events. 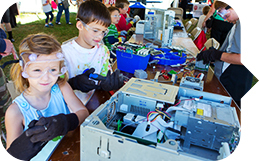 Read on for family fun ideas and find even more festivals and events on our online calendar. Be sure to check out our online calendar for even more Hamilton County happenings. 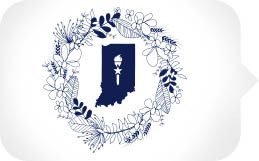 Honoring Sen. James Noble, one of the signers of the 1816 constitution at the state&apos;s first Constitutional Convention and the namesake of Noblesville. Enjoy the first in a new dining series of unique farm-to-table meals featuring local music, art and cuisine. Local chef, Rick Moreland will prepare the meals highlighting produce, meat and goods from the Saturday Farmers Market vendors. Through a series of activities, presentations and hands-on demonstrations, the whole family will be encouraged to ask questions, share knowledge and ignite the urge to discover. Learn about robots and making video games, explore 3D printing, discover what living things are in your own backyard and find out how milk goes from udder to glass. 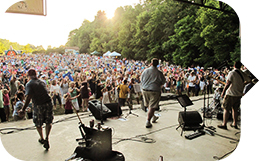 Kick your weekend off with the first concert of the Cool Creek Concert Series. Pack your blanket, chairs and picnic basket for a night of music under the stars. 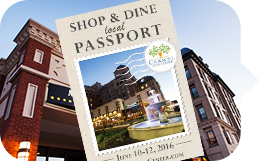 Shop, dine and save at participating businesses! The Shop & Dine Local Passport Book is full of special offers and promotions from women&apos;s and men&apos;s fashion, home gifting, kids wear, tapas and pub food to dessert and more! Enjoy the monthly tradition of the Second Saturday Gallery Walk in the Carmel Arts & Design District. Enjoy a free caricatures or and art experience class, musical entertainment and a scavenger hunt.